The chapters start up with a write up on the different Allied nations tanks of that class. 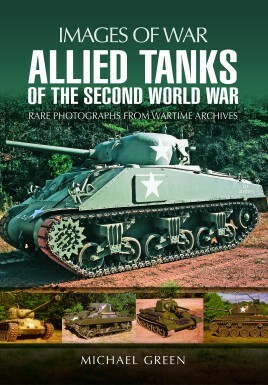 The rest of each chapter is full of pictures of almost every make and model allied tank. A lot of the pictures were taken of surviving examples of these tanks at museums. The bad thing is that at least two of these museums have closed down. There are also plenty of actual wartime photographs. The photos show the progression of science and technology from the prewar to the late-war tanks. Included are pictures of some of the armament of the tanks along with ammunition. There are a few photos of the inside crew positions of the tanks. The T-34 and Sherman and their variant photos and write-ups take up a lot of the book. Being the most produced tanks of World war II, this stands to reason. Once again this is a great book for tank modelers. It is also a good 'starter book' for someone who doesn't know much about the Allied armor in World war II, but wants to learn. A Wargamers Needful Things is a one stop blog for Wargamers, Military Minifig collectors, Toy Soldier collectors and military history obsessives. We will do our upmost to cover in depth as much as possible. We shall be reviewing books, miniatures\toy soldiers, MiniFigs and of course games, plus interviews, model making and AARs! Quote from a reader.. "Your site is a much needed breath of fresh air, I absolutely love the spectrum of things you cover/review. Keep up the great work. "